Just under 10% of the 42,000 veterans enrolled in Reno VA Hospital care are able to qualify for dental benefits. Northern Nevada Dental Society members and Northern Nevada Dental Health Programs provide volunteer dental services for veterans and children of veterans. Vets who have difficulty qualifying for VA dental services or cannot afford dental care can get pro bono help through the Adopt a Vet Dental Program. 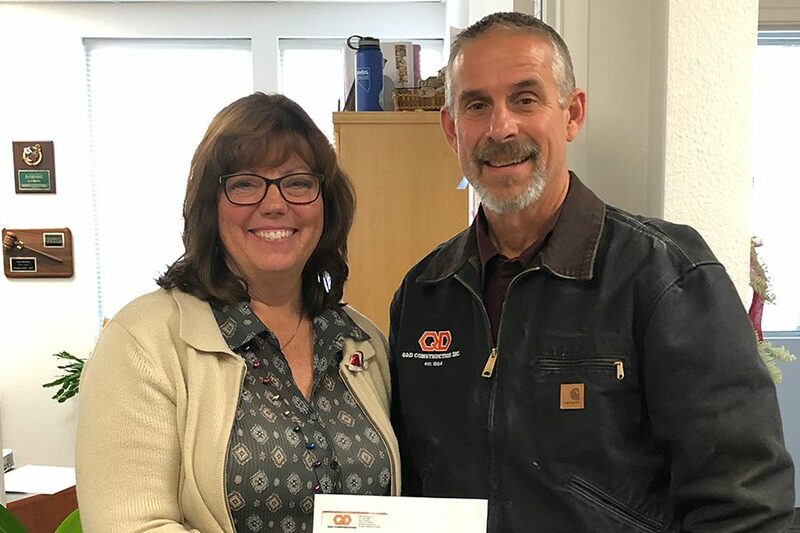 “AAVD not only helps veterans regain their dental health, we help them change their lives.” Q&D is proud to support NNDS and AVDP as part of our company’s annual giving program. Pictured here is Lance Semenko, Q&D President, presenting the donation to Lori Benvin at NNDS yesterday.